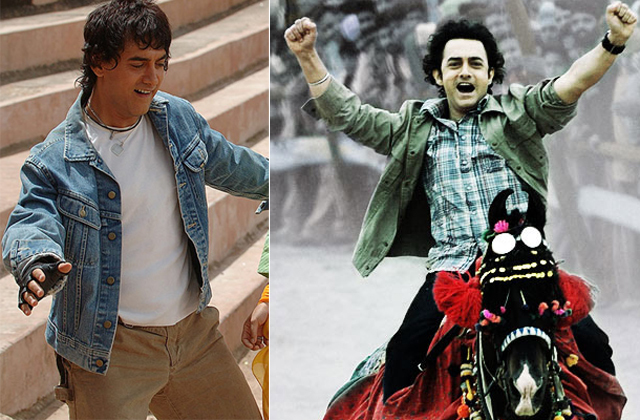 Aamir Khan has a chameleon-like tendency to look different and fresh in his films. 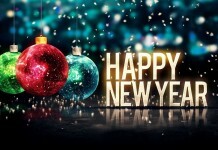 It’s that time of the year again – time for an Aamir Khan film. Mr Perfectionist is back with a bang and a new look in his upcoming film PK. The actor is probably Bollywood’s answer to Tamil superstar Kamal Haasan, in terms of re-inventing his look in films. Like Mr Haasan, the PK star has a chameleon-like tendency to look different and fresh in his films. The previews, trailers and songs of PK have already created curiosity among his fans and colleagues, with special focus on his eccentric look in the film. 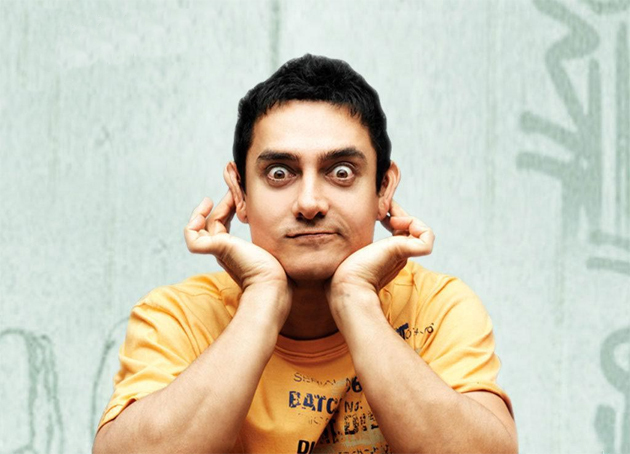 Aamir rejected at least five hair styles in pursuit of the perfect look for PK. 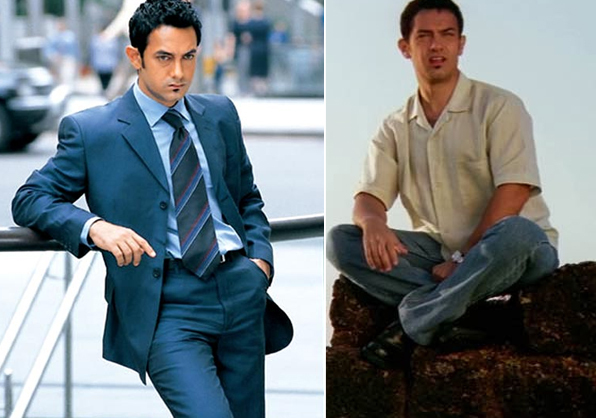 From “boyish” to “weird” to “warrior”, Aamir tried them all. But that is not new for Aamir; the actor is known for dedicating time to create the perfect look in all his films. 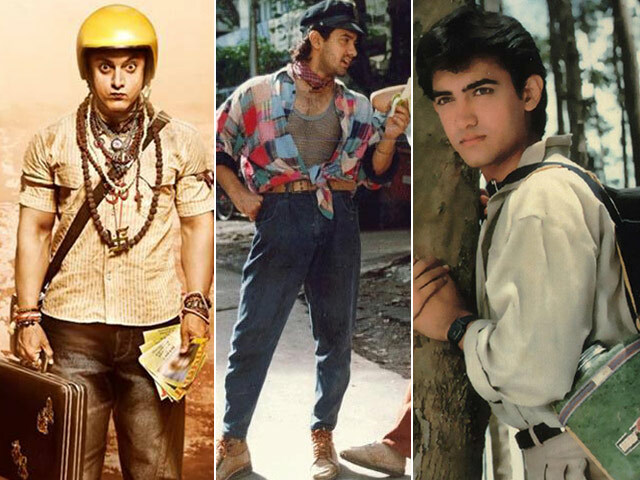 And that gives us a diverse range of looks from Aamir Khan’s 26 years in Bollywood. In his breakthrough film Qayamat Se Qayamat Tak, then 23-year-old Aamir Khan played the role of a teenaged college student who falls in love with the daughter of his father’s arch-enemy. 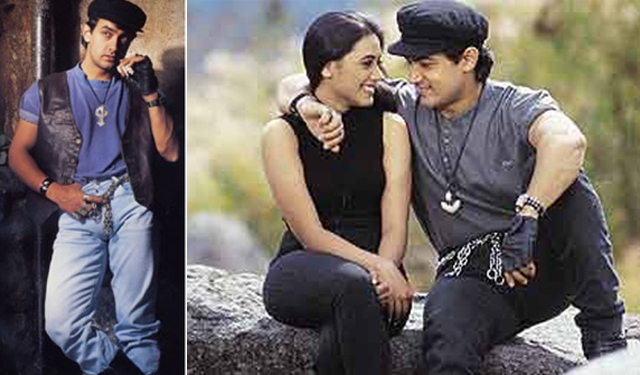 For the film, Aamir’s look was simple and boyish, which probably required least effort. Aamir went on to do a series of films like Dil, Andaaz Apna Apna, Dil Hai Ki Manta Nahin, Jo Jeeta Wohi Sikander, among other where his look remained similar to that in Qayamat Se Qayamat Tak. After multiple hits in which he looked similar came Aamir’s Rangeela, in which he played the role of the tapori Munna. Here, Aamir was true to the spirit of the film – with a wardrobe as Rangeela as the title, scarves knotted around his neck, neon shirts worn loose over eye-popping net vests, a peaked cap and more swagger than his neighbour played by Urmila Matondkar, who has eyes only for men with impeccable style, could handle. In Ghulam, Aamir’s look was faintly thuggish, complete with chain-jingling denims, muscle tees, boots and a waistcoat or jacket. With a beediin one hand, biking gloves and a poor-boy hat, Aamir delivered one of the best performances of his career. Apart from his look, his mannerisms and the Aati Kya Khandala song left a lasting impression on our minds. Aamir experimented with his look somewhat in films like Earth and Mela, but his next big change came with his character Bhuvan in Ashutosh Gowariker’s Lagaan. Here, Aamir played the role of a villager fighting against the injustice of the British Raj. As the rustic but fiery Bhuvan, Aamir wore a dhoti and waistcoat-type shirt, complete with a turban. Aamir’s eye for detail ensured wardrobe extras like a kundal, bracelet and necklace, worn by villagers in Gujarat even today. In the wake of Lagaan followed whispers – could Aamir reinvent himself after the grand success of the film? He could, it seemed. At 36, Aamir was cast in the role of a young man in his 20s making the transition from college to entrepreneurship in filmmaker Farhan Akhtar’s Dil Chahta Hai. His trendy young wardrobe included a crisp gel-laden hairstyle with a small goatee. Aamir’s goatee later became a fashion statement among the youth. Enter Aamir Khan as freedom fighter Mandal Pandey, in long curly locks and sleek handlebar moustache. 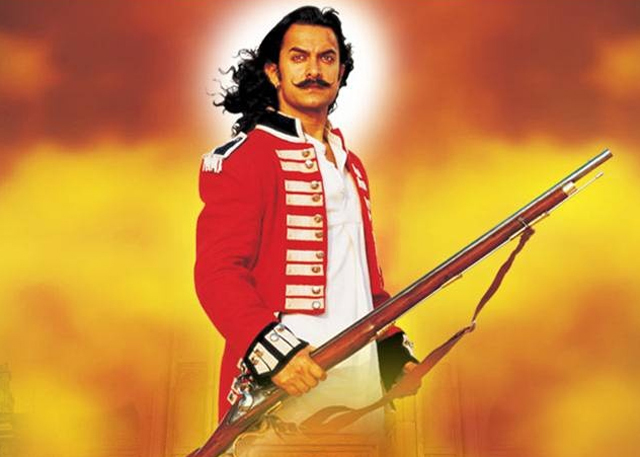 Aamir, who played the role of one of the precursors of the Indian freedom movement, was seen in the uniform worn by the Indian soldiers of the time in the East India Company army. Out of uniform, he was spotted in a villager’s attire comprising dhoti-kurta. Aamir’s moustache had also become a fad for some time after the film’s release in 2005. In Rakeysh Omprakash Mehra’s film, Aamir played the role of a DU alumnus who hangs out with other university students and finds himself caught in events that radicalises them. Now in his early 40s, Aamir had to play a character half his age and he did it well again. How do you make a teacher look cool? Answer: A Mohawk hairstyle and endearing attitude. Aamir Khan as a youthful art teacher in Taare Zameen Par once again charmed his fans and made another of his many looks the ultimate in fashion. As a revenge-driven passionate lover, Aamir Khan surprised his fans with an extreme crew cut revealing the ghastly scars of a past attack. Aamir also worked on his body and beefed up to achieve a never-seen-before new look. Again, Aamir’s Ghajini hairdo became a style statement. It seemed like Aamir Khan just couldn’t age, at least on-screen. At 45, Aamir had no qualms in playing the role of college student and 3 Idiotsbecame another feather in his cap of masquerades. What’s more, he relied mostly on his emotive skills than his wardrobe to look the part of a young engineering student. 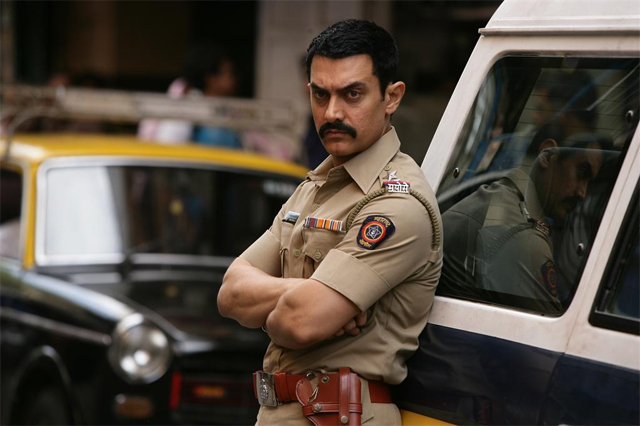 In the Reema Kagti film, Aamir Khan plays the role of a driven cop on a mission to uncover a mysterious truth. Aamir opted for short hairdo and thick moustache to go with the khaki. In his last Bollywood outing, Aamir Khan was seen in a double role and here again, he devoted his energies to creating a character that looked unique. For months, he wasn’t seen off set without the bowler hat his character Sahir wears in the film. A sleeveless high-necked jacket topped his outfit – that is, when he wasn’t atop a bike in leather jacket and helmet. In his new release, Aamir’s look and costumes (and lack of one too) have generated a lot of interest. And yet it is unclear who his character PKactually is. His clothes range from a skirt to a bandwala‘s outfit and his naturally popping-out ears are exaggerated. In addition, he has green lenses on, prompting speculation that PK could be an alien. 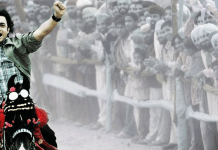 The true nature of Aamir’s character will only be revealed on December 19, when the film releases. PK, directed by Rajkumar Hirani, also stars actors Anushka Sharma, Sanjay Dutt and Sushant Singh Rajput. Previous article50 Impressive Bollywood-Inspired Amul Ads! 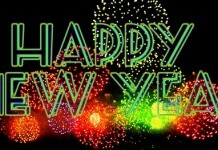 Next articleOMG! 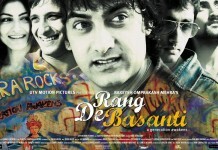 It’s Been Ten Years Of Rang De Basanti! 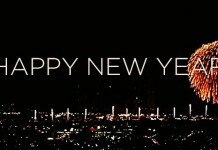 And We have Something For You!